Police were called after a 53-year-old man was found dead near to St Helens Hospital. Officers were called to the scene on Marshalls Cross Road at around 4.15pm on Monday. There are no suspicious circumstances and a file has been prepared for the coroner. 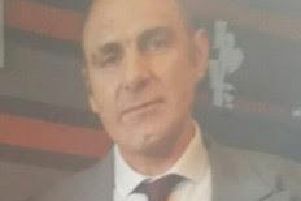 A police spokesman confirmed Trevor Farthing, 52, who has been missing since last week and was last seen on Marshalls Cross Road, remains missing.